Apple publically released its iPhone 5s to customers yesterday. AppleRumors.NET was able to try out the new phone. The design of the iPhone 5s is excellent. The phone feels sturdy in the hand. It’s design mimics the iPhone 5’s design nearly exactly. The new finger print scanner, know as Touch ID, features a small ring around the home button, to easily distinguish it from other iPhones. The new iPhone 5s is also available in three colors: silver, space gray, and gold. The colors are vibrant, but not in the same manner ad the 5c. The aluminum and glass design makes the phone feel quality and luxurious. Overall, the new iPhone 5s is a very well designed and beautifully crafted phone. 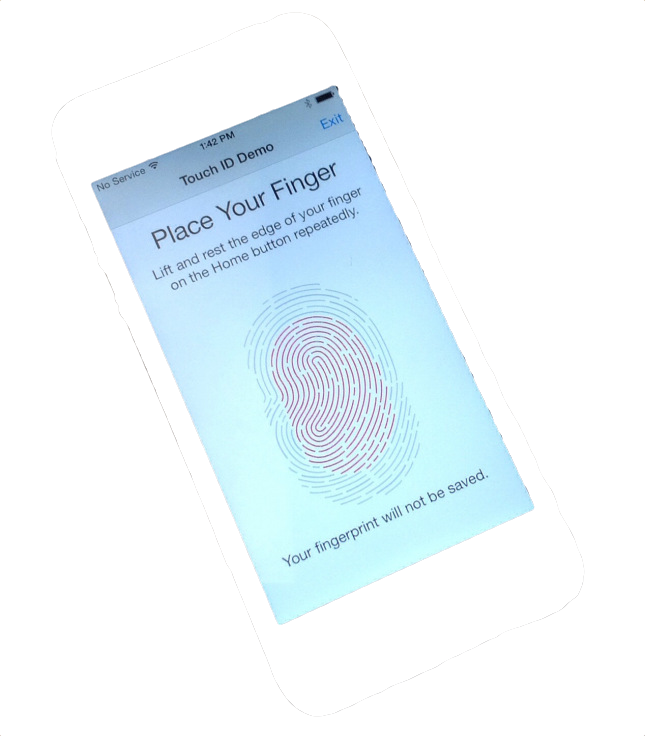 Perhaps the most intriguing new feature of the iPhone 5s is the new fingerprint scanner, known as Touch ID. Touch ID is quite impressive and does exactly what it says. We demoed Touch ID, and found it to be quite responsive and exact. Users can set up Touch ID on the new iPhone 5s and use it in the place of a passcode lock or to make purchases on the iTunes, App, and iBookstore. We’re still waiting for developer API’s for Touch ID. If Apple allows third party developers to access and utilize Touch ID, this could be a game changer for apps and the mobile market. Nevertheless, I that Touch ID is a great feature, but could become even more versatile if it was accessible by developers. The new iPhone 5s’s camera is does indeed live up to its reputation. We were at first skeptical, as the new camera only packs an 8 megapixel sensor (Apple hasn’t changed the megapixels since the iPhone 4S), but after testing, the iPhone does live up. The new iPhone now features a f2.2 aperture lens, allowing more light into the image sensor, thus producing a sharper and better image. We tested the camera and are pleased to inform you that it certainly produces a more natural look and feel. Images are also helped by the new dual LED flash, which also provides better images in low light. Personally, I think Apple could have upped the megapixels, but the new iPhone’s camera is certainly excellent. 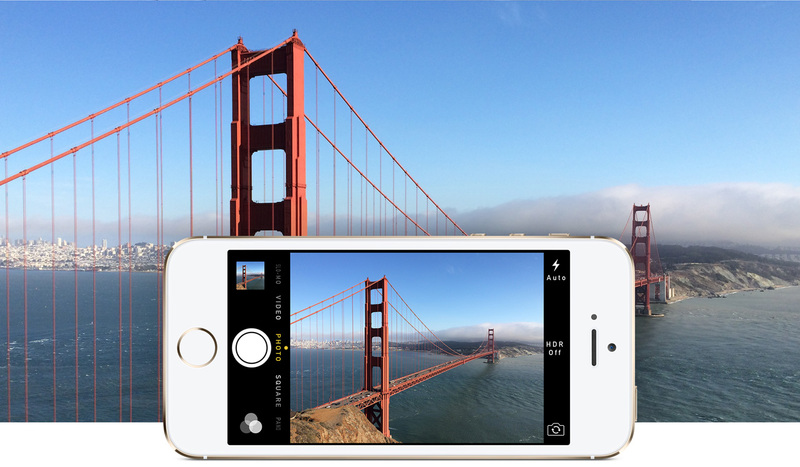 The new A7 chip on the iPhone 5s is very powerful. We’ve taken a look at its potential before (in other reviews). The new processor is not only 64-bit but also supports OpenGl 3.0, giving users amazing graphics. Infinity Blade III is one of the latest games to utilize the new chip, and performance is incredible. We also tested the processor by running a variety of diagnostics. 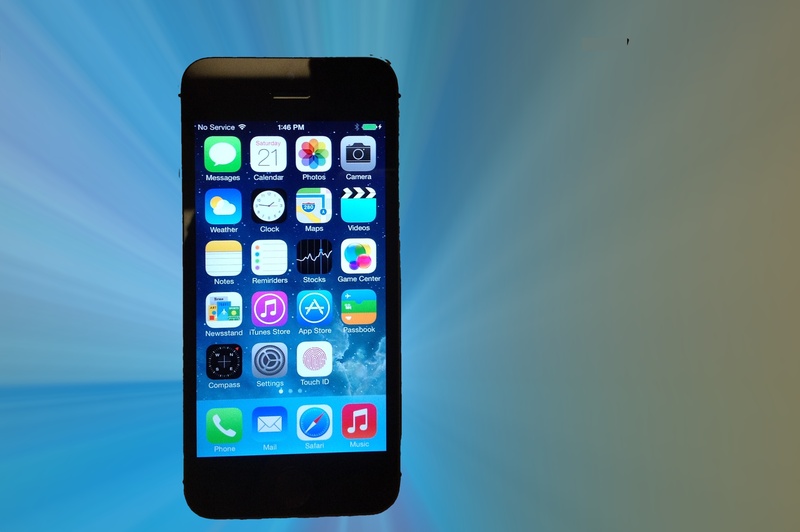 We performed a Geekbench test, only to find that the new iPhone 5s came in at an astonishing score of 2538. In comparison, the Samsung Galaxy S IV, only had a score of 2077 while the HTC ONe had a score of 1717 and the Nexus 4 came in at 1534. That’s simply incredibly and blows anything else on the market away by far, making the new iPhone 5s the fastest smartphone on the planet now. Opening apps was a breeze – multitasking was equally easy and there was literally no lag whatsoever. Apps such as Temple Run loaded instantaneously. The new iPhone also packs a M7 co-processor, as Apple describes “for an entirely new level of efficiency.” It’s ideal for fitness apps and maps. I wonder if this is something that we’ll see in, oh, an iWatch? Overall, the iPhone 5s is a beast in terms of power. It’s outstanding performance makes it the current fastest smartphone of the planet.